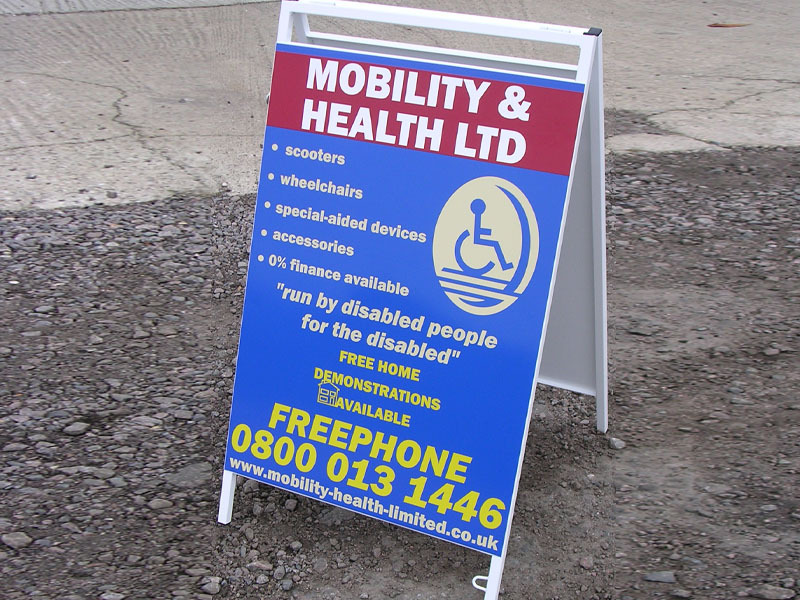 Pavement signs can increase your sales and are a proven way of gaining more trade through passing or walk-in customers. 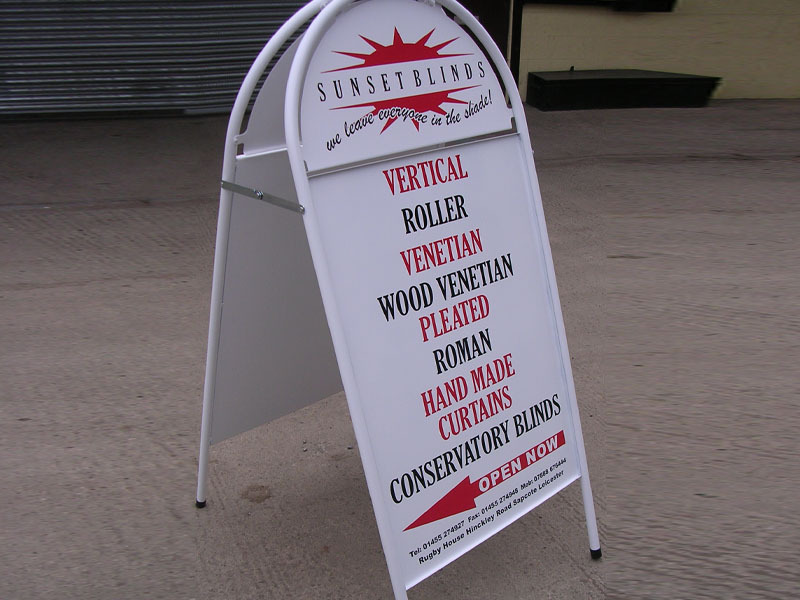 We offer a good range of these type of signs and these can include a wide range of features. 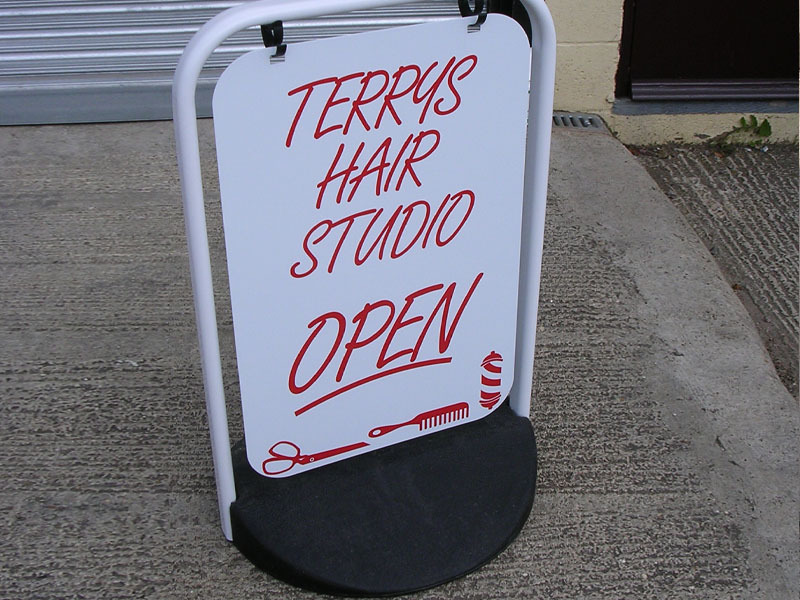 - A lightweight / aluminium construction for internal / small shop use. 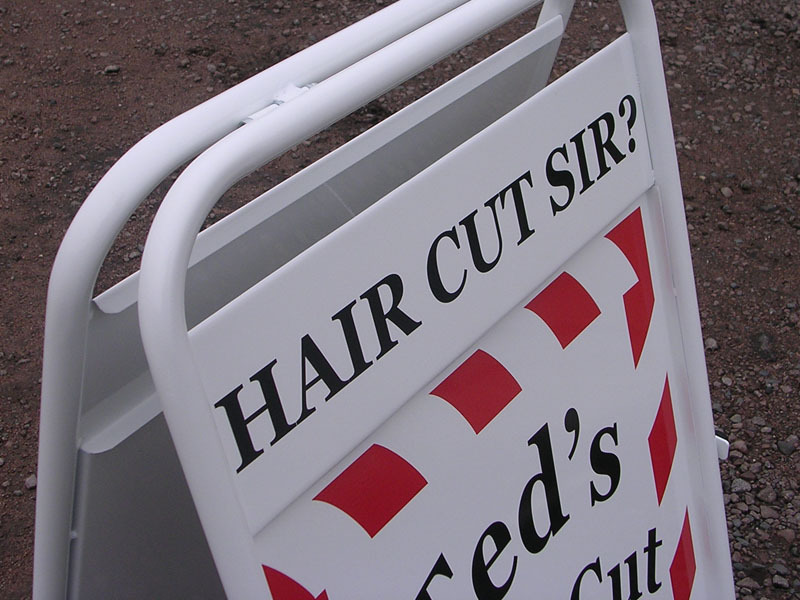 - A swinging panel to allow customers to be attracted to your sign on a busy road or street. So, whether it be for a internal / external application we can find the right display for you. 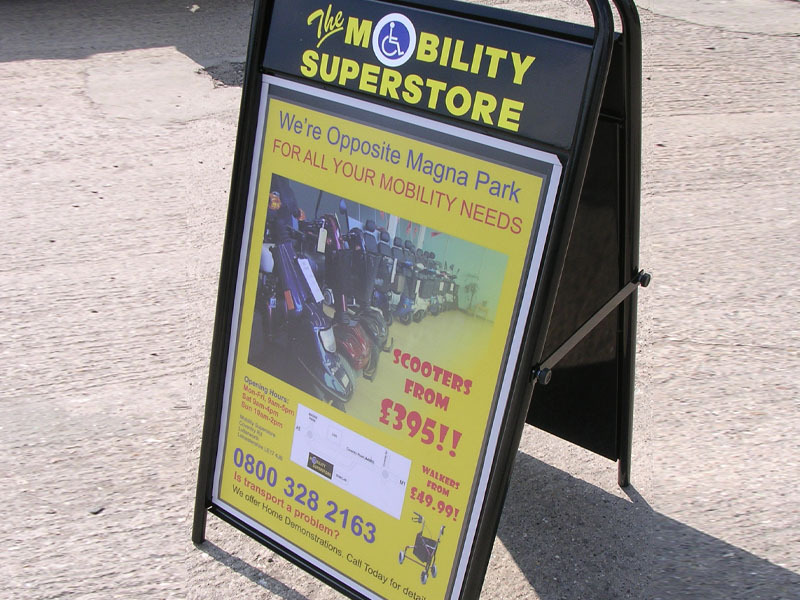 Other related products include flags, projecting signs, pop - ups and external / internal poster holders. 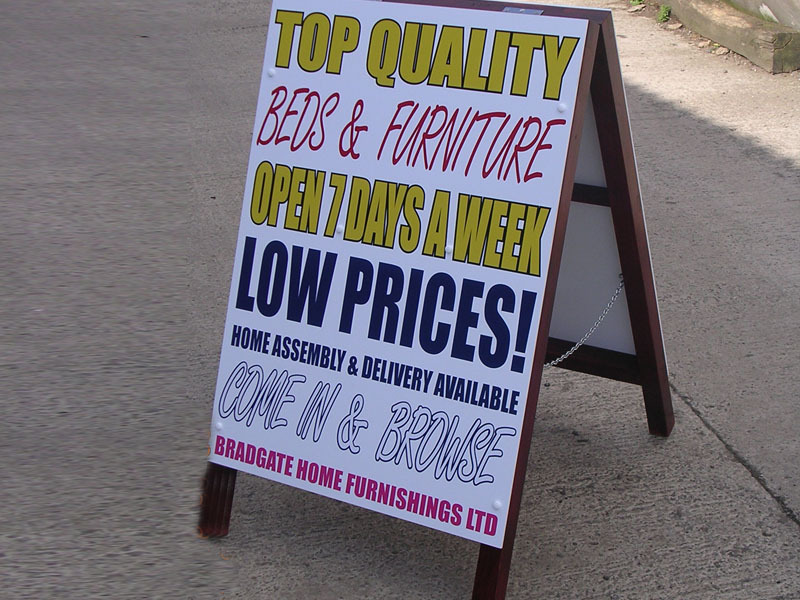 This contains over 100 products which can sign written by our company and available to us on a next day delivery.